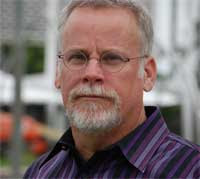 Michael Connelly has been awarded the 2012 Harper Lee Prize for Legal Fiction for his novel Fifth Witness (M). The Harper Lee Prize "... created by the University of Alabama School of Law and the ABA Journal, honors Lee for the extraordinary and enduring influence her novel has had in the public perception of the legal profession. The prize will be awarded annually to the published book-length work of fiction that best exemplifies the role of lawyers in society." Michael Connelly has been publishing consistently since the early 1990's and his characters include Harry Bosch (M), a Vietnam veteran turned LA police detective, and reporter Jack McEvoy in addition to Mickey Haller (M) featured in Fifth Witness. Mickey Haller has been profile on The Reader once before. Last year's winner of the Harper Lee Prize for Legal Fiction was John Grisham's The Confession (M). "An innocent man is about to be executed. Only a guilty man can save him. For every innocent man sent to prison, there is a guilty one left on the outside. He doesn't understand how the police and prosecutors got the wrong man, and he certainly doesn't care. He just can't believe his good luck. Time passes and he realizes that the mistake will not be corrected: the authorities believe in their case and are determined to get a conviction. He may even watch the trial of the person wrongly accused of his crime. He is relieved when the verdict is guilty. He laughs when the police and prosecutors congratulate themselves. He is content to allow an innocent person to go to prison, to serve hard time, even to be executed. Travis Boyette is such a man."